For the ultimate workout machine, the Steelflex Jungle Gym is a must. With nine different stations – all able to be used simultaneously – it’s the premier centrepiece in any gym. 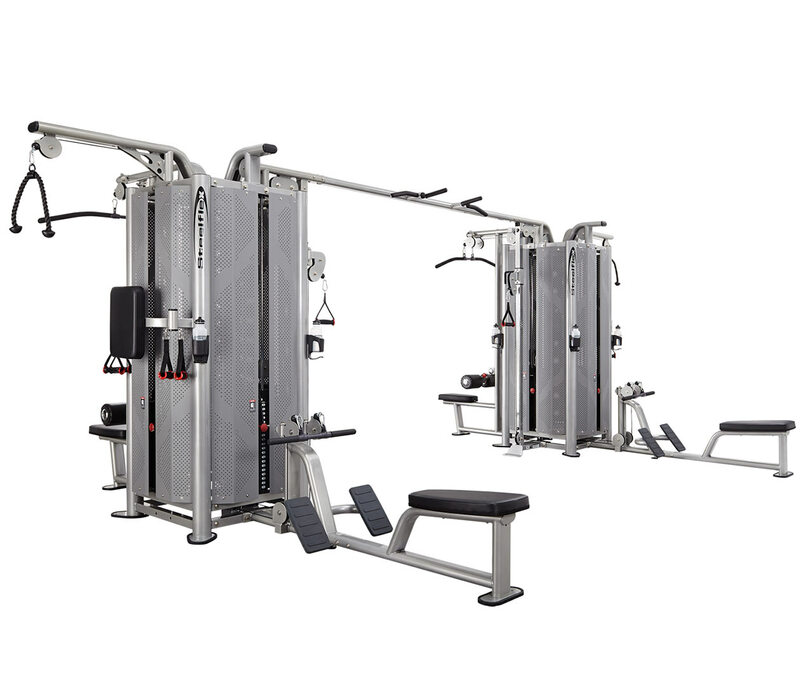 Featuring two lat pull down stations, two rowing stations, a chin up bar and four cable stations, and adjustable weights and handles across the machine, it offers a full body workout for any fitness level. If you’re looking for the best, you’ve found it.